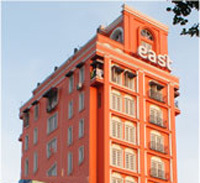 East hotel is a small boutique hotel, situated in the middle of Yangon business district. All rooms are large and unique in their own way including WIFI internet and a new flat screen tv, unlimited mineral water, tea & coffee facilities. East hotel has a modern Myanmar style completely mixed with the traditional friendliness of Myanmar hospitality.